Everyone who saw the play was captivated by the powerful story telling and the play struck a chord with many of the refugees and asylum seekers who had made similar journeys as those portrayed. 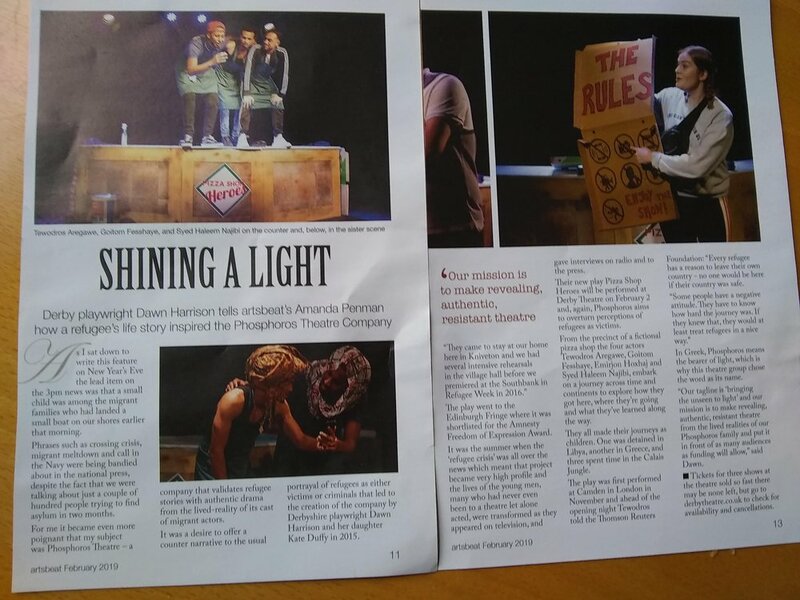 Phosphoros Theatre was set up by a Derby base writer, Dawn Harrison, after she met refugees and asylum seekers in 2015. For the full story, please see the photo.